TORONTO, Nov. 08, 2018 (GLOBE NEWSWIRE) — MediPharm Labs Corp. (TSXV: LABS) (the “Company” or “MediPharm Labs”) is pleased to announce that it has added two cannabis industry veterans to its senior team in pursuit of global leadership in pharmaceutical-grade cannabis concentrates. MediPharm Labs welcomes Jason Nalewany as the Company’s newly appointed Vice President, Finance, and Dr. Ina Shira Dubinsky as the newly appointed Lead Scientist – Secondary Processing. “Jason and Ina bring considerable cannabis industry and international experience with them to MediPharm Labs and will propel us in our pursuit of global leadership in the production of purified cannabis concentrates and isolates,” says Pat McCutcheon, President and CEO of MediPharm Labs.Mr. Nalewany brings over 12 years of experience to the MediPharm Labs leadership team, providing financial expertise to various public entities in capital market strategies, M&A advisory, valuation, financial forecasting and financial due diligence.Most recently, Mr. Nalewany held senior finance positions at Aurora Cannabis Inc., a NYSE and TSX listed cannabis company, and played a key role in Aurora’s $3.2 billion merger with MedReleaf Corp. Prior to his time at Aurora, Mr. Nalewany held positions in the strategy and corporate development group at Methanex Corporation, a NASDAQ and TSX listed chemical company. Mr. Nalewany has also held roles at FTI Consulting Inc., and MNP LLP, in transaction advisory capacities. Earlier in his career, he held positions in the audit and assurance practice at PricewaterhouseCoopers LLP, Canada.Mr. Nalewany is a Canadian Chartered Professional Accountant (CPA, CA) and holds a Bachelor of Commerce degree from the University of Victoria.Dr. Dubinsky recently held the position of Research and Development Scientist at ARA – Avanti Rx Analytics Inc. where she conducted analytical lab-testing and method development of tests for cannabis oil, extract, plant and intermediate products within Health Canada, Food and Drug Administration and Good Manufacturing Practices. Her experience includes research, development and performance of different extraction processes for cannabis and hemp, as well as isolation and purification of cannabinoids by vacuum distillation, vacuum filtration and Normal and RF column chromatography.Dr. Dubinsky is a Postdoctoral Fellow in Biochemistry from the University of Toronto where she designed and synthesized novel organic compounds for protein chemistry, protocols for constructing biopharmaceutical proteins and patented two inventors for red cell substitutes. Dr. Dubinsky earned her PhD in Inorganic Chemistry from Tel Aviv University where she designed, synthesised and purified unique organic compounds. About MediPharm Labs Corp.Founded in 2015, MediPharm Labs is a pioneer in the cannabis industry and has the distinction of being the first company in Canada to become a licensed producer for cannabis oil production under the Access to Cannabis for Medical Purposes Regulations (ACMPR) without first receiving a cannabis cultivation licence. 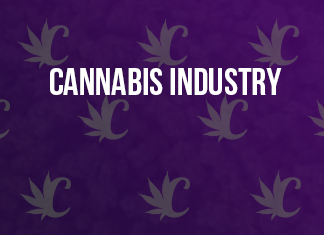 This expert focus on cannabis concentrates from our cGMP (current Good Manufacturing Practices) and ISO standard clean rooms and critical environments laboratory, allows MediPharm Labs to work with its established, Health Canada-approved cultivation partners to produce pharmaceutical-grade cannabis oil with a competitive advantage. MediPharm Labs is research-driven and focused on downstream secondary extraction methodology, distillation, and cannabinoid isolation and purification. MediPharm Labs provides B2B contract processing of cannabis to Canadian authorized licensed producers and appropriate international growers, supplying integrity-assured cannabis oil to qualified companies for sale under their own brand. In addition, MediPharm Labs will supply raw materials, formulations, processing and packaging for the creation of ready-to-sell advanced derivative products.Through its subsidiary, MediPharm Labs Australia Pty. Ltd., MediPharm Labs has also completed its application process with the federal Office of Drug Control to extract and import medical cannabis products in Australia.For further information, please contact:﻿NEITHER THE TSX VENTURE EXCHANGE NOR ITS REGULATION SERVICES PROVIDER (AS THAT TERM IS DEFINED IN THE POLICIES OF THE TSXV) ACCEPTS RESPONSIBILITY FOR THE ADEQUACY OR ACCURACY OF THIS RELEASE.CAUTIONARY NOTE REGARDING FORWARD-LOOKING INFORMATION:This news release contains “forward-looking information” and “forward-looking statements” (collectively, “forward-looking statements”) within the meaning of the applicable Canadian securities legislation. All statements, other than statements of historical fact, are forward-looking statements and are based on expectations, estimates and projections as at the date of this news release. Any statement that involves discussions with respect to predictions, expectations, beliefs, plans, projections, objectives, assumptions, future events or performance (often but not always using phrases such as “expects”, or “does not expect”, “is expected”, “anticipates” or “does not anticipate”, “plans”, “budget”, “scheduled”, “forecasts”, “estimates”, “believes” or “intends” or variations of such words and phrases or stating that certain actions, events or results “may” or “could”, “would”, “might” or “will” be taken to occur or be achieved) are not statements of historical fact and may be forward-looking statements. In this news release, forward-looking statements relate to, among other things, the establishment of operations in Australia. Forward-looking statements are necessarily based upon a number of estimates and assumptions that, while considered reasonable, are subject to known and unknown risks, uncertainties, and other factors which may cause the actual results and future events to differ materially from those expressed or implied by such forward-looking statements. Such factors include, but are not limited to: general business, economic, competitive, political and social uncertainties; the inability of the Company to obtain adequate financing; and the delay or failure to receive regulatory approvals. There can be no assurance that such statements will prove to be accurate, as actual results and future events could differ materially from those anticipated in such statements. Accordingly, readers should not place undue reliance on the forward-looking statements and information contained in this news release. Except as required by law, the Company assumes no obligation to update the forward-looking statements of beliefs, opinions, projections, or other factors, should they change.